The ITF has announced the latest results for the Davis Cup by BNP Paribas Asia/Oceania Zone Group IV event taking place from 3-8 April in Isa Town, Bahrain. 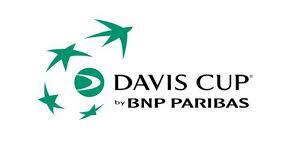 The Davis Cup by BNP Paribas World Group quarterfinals and Zone Group ties will take place on 7-9 April. Europe Zone Group III runs from 5-8 April in Sozopol, Bulgaria. A total of 27 ties and two zone group events will be held this week. Editorial Note: The official release has been edited.